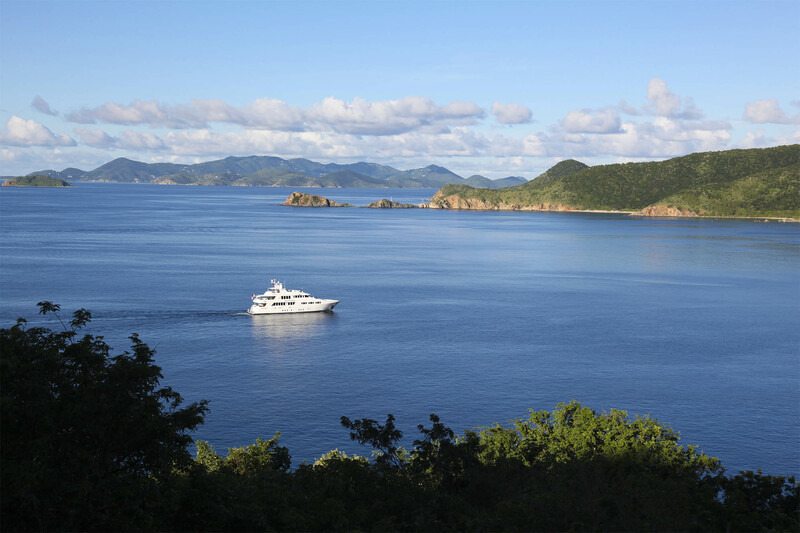 British Virgin Islands Yacht Charters provide almost guaranteed good weather and a consistently excellent vacation experience practically any time of year. 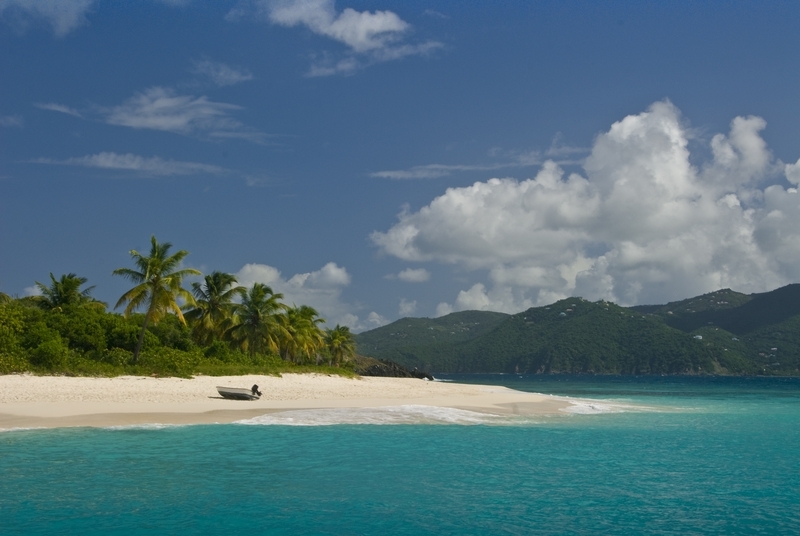 Are the British Virgin Islands the ultimate yacht chartering destination? Yes, possibly. Several factors contribute to this well earned reputation: plenty of small islands, regular E to NE winds, protected waters, great beaches and places to moor, anchor and go ashore and an absolutely superb overall vacation experience, even in bad weather. This is ALMOST guaranteed sailing or motor-yachting vacation weather. As you can imagine, there is a huge selection of both crewed yachts and bareboat companies and all types of configurations and models available for charter for both motor yacht and sailing enthusiasts. The British Virgin Islands and the US Virgin Islands offer the greatest and most relaxing bare-boating experiences in the world. Our company represents most of the best owners, management companies, charter operators, and clearing houses and we only deal with those owners / operators and crews who have consistently shown good service, well maintained boats and an effective emergency service because, well, boats are boats and things do go wrong. If you are a bare-boat person, typically most BVI bareboat companies operate out of Tortola where there are several excellent marinas and the tax structures are more convenient. 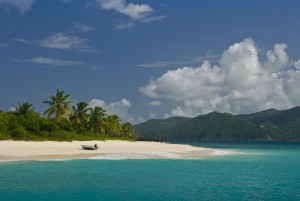 Of course, the BVI is a sailor’s paradise – that’s why it’s been the mecca for so many sailors over the years. I mean what more could anyone want? Nice warm climate, friendly natives, a bunch of islands, steady breezes, protected waters and great beaches, and all of this about 3 hours away from mainland USA. What to do Besides Sailing? SCUBA diving, if you’re already certified, book a boat that has on-board diving services, if you’re not fanatical about it, you can call a local dive-shop for a rendez-vous pick-up from your boat. If you’re not certified, some boats can certify you while on charter, or you can take what is called a “resort” diving familiarization course that will whet your appetite for more. Shopping: Pusser’s is THE PLACE in the BVI, there’s a Latitude 18 at West End which is great. The Ample Hamper has a lot of British comfort food. Frankly, Shopping is not a big deal in the BVI, most people go to St. Thomas or San Juan for the really serious stuff. The boat’s water-toys: most charter yachts have a nice selection of water-toys for adults and kids, i.e. kayaks, knee-boards, the dinghy with an outboard, of course, maybe water skis if the outboard has enough juice in it, windsurfers maybe. The actual inventory of toys varies from boat to boat, ask your charter broker what toys are on board. Pick up Mooring Balls and watch other people pick-up mooring balls. This is a daily exercise and highly entertaining. Always good for a smile or two; or a screaming fit. Frankly a lot of watering holes and restaurants in the islands are overpriced and overrated. You’re probably better off eating on your boat, however, it’s always nice to go ashore and meet the locals, here’s a list of places you can’t go wrong with: Any of the Pusser’s locations, the Cooper Island resort, Marina Cay, Foxy’s on Jost van Dyke, Peter Island resort, The Bitter End resort, Saba Rock, Leverick Bay resort. AND on Tortola: Charlie’s at the Moorings compound, Village Cay Marina, The Fat Cat, Pusser’s at the West End and downtown. Gotta mention the Soggy Dollar Bar on Jost van Dyke, right on the beach at White Bay, has a loooong history…. So, on the basis of the above, I’ve developed some hypothetical FAQ’s. Which BVI Yacht Charter is Right for me? 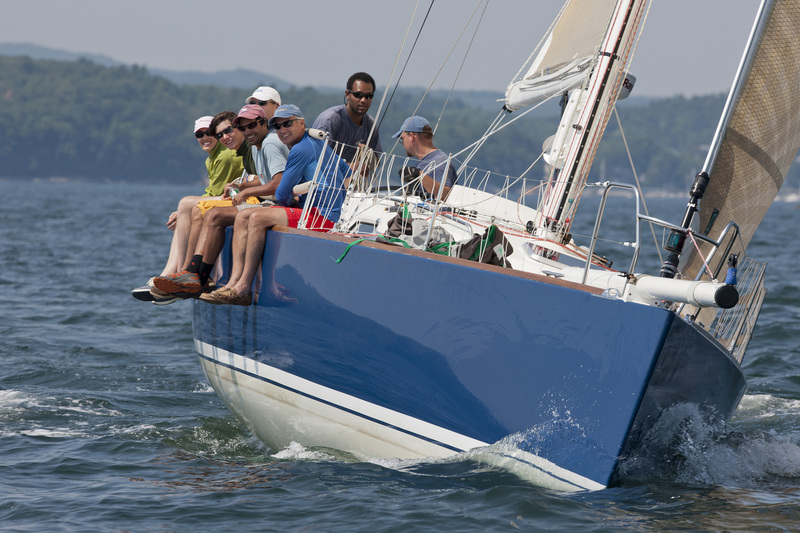 First question you have to ask yourself: do you really care if the boat is newer or older? Again, generally speaking, newer boats are generally more expensive than older ones, so what’s the budget looking like? Of course, a nice crisp, new boat with tight sails, electric toilets and plenty of room are a bare boater’s dream. But there’s nothing wrong with floating around the BVI in a lower cost, older boat with baggy sails, after all you’re not here to win the America Cup! You’re here for the sun, the sand and the sheer enjoyment, sometimes sailing slowly and taking your time is all that’s needed. One thing is incredibly important: if you are chartering a fully crewed yacht, THE CREW IS THE MOST IMPORTANT factor in the success or failure of a charter, an incredible vacation or a disaster. Find a trusted charter broker who should know all the crews anyway to help you with this decision. How do I find the right yacht at the right price? Best to use a broker or booking agent. Find one you’re comfortable with and that you can trust AND who belongs to one of the recognized international charter yacht broker associations. That way you’ll be in good hands. The booking agent typically has access to all or most of the operators, knows the boats, knows the area and can offer you exactly what you’re looking for at the right price. 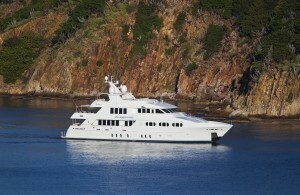 If I use a broker for my charter, will I pay more? No, most good brokers will offer all the discounts offered by the operators, including the seasonal toofers and threefers, multiple boat discounts, repeat customer discounts and many times can obtain an even better price that if you go to the operator directly. The brokers and booking agents are paid by the operators for their sales and marketing function, you don’t actually have to pony up any special fees or surcharges. Knowledge of the yachts and their crews, detailed destination information and sample itineraries and also very importantly, instant access to the industry databases and seasonal pricing and discount charts. We are one of the few companies that offers all this AND a website that actually offers a fully crewed yacht and skipper only search engine and a bareboat search engine. 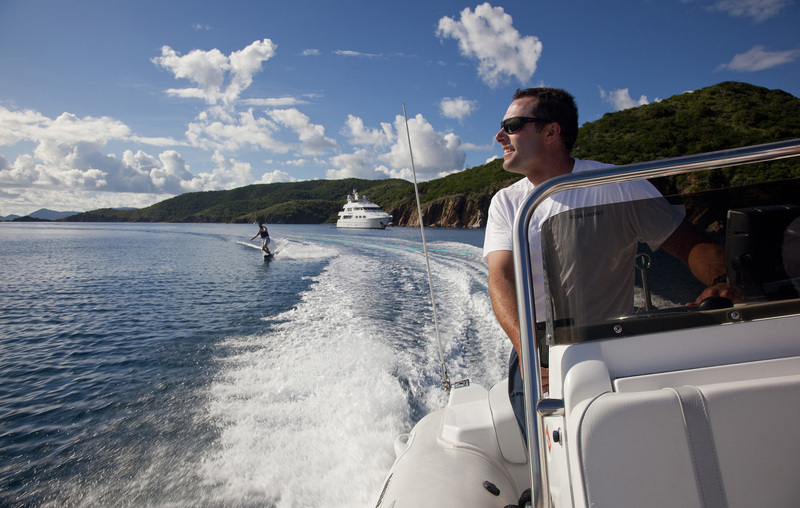 If you have any questions about our British Virgin Islands Yacht Charter offerings call us at (877) 759-8263 or contact us by email today.